Gravestones bearing an encrypted message are rare. I know only about ten of them. Steganographic messages on gravestones appear to be even more uncommon – only two of them are mentioned in the literature I know. Over the last few days I had the chance to visit both of them. So, I decided to write a two part report about my expeditions to steganographic gravestones. Here is part 1. 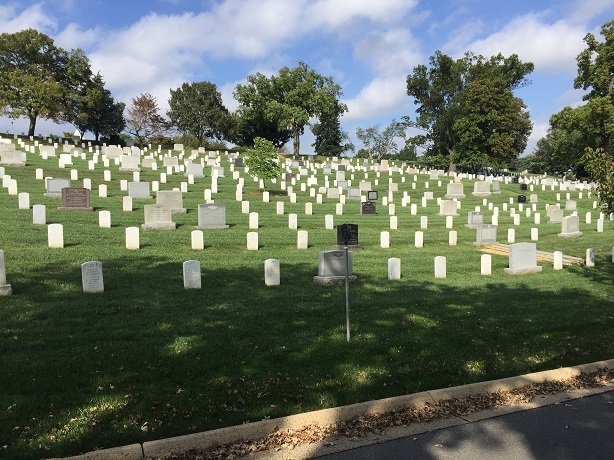 The less known of the two gravestones bearing a hidden message is located in the Arlington Cemetery in Washington, DC. This cemetery can be regarded as a tourist attraction – with visitor shuttles, guided tours and many places of interest. 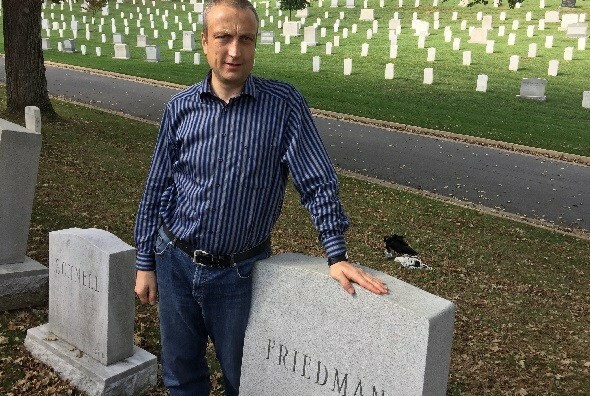 In the Arlington Cemetery, I saw, among other things, the Tomb of the Unknown Soldier (including an impressive changing of the guards), the grave of John F. Kennedy, and the one of Robert Peary (allegedly the first person to reach the North Pole – a claim that is doubted by many historians). I want to express my thanks to Elonka Dunin (Kryptos expert, who inspired Dan Brown to create the character Nola Kaye for his novel The Lost Symbol), who took me to all these interesting places. The grave Elonka and I mainly came for was the one of William and Elizebeth Friedman. William Friedman (1891-1969) is considered the most successful codebreaker in history. In his long career he broke over 1000 ciphers, including the Kryha cryptograph, Edward Hebern’s rotor machine, and the Japanese Purple. William Friedman’s wife Elizebeth (1892-1980) was a notable codebreaker, too. Among other things, she solved numerous rum runner codes during the prohibition era. The Friedmans had a strong interest in crypto puzzles and crypto mysteries. 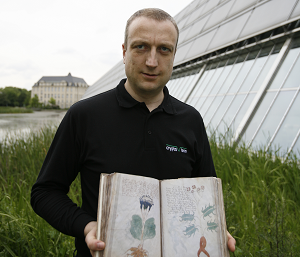 They examined the Voynich Manuscript and published a critical book about the Shakespeare Bacon code debate (I recently blogged about a message hidden in this book). Many of their Christmas cards contained funny crypto challenges, as can be seen in this blog post I published last December. In another post I introduced a few steganographic codes William Friedman created. It was Elonka herself who discovered that on the gravestone of the Friedmans a message is hidden. 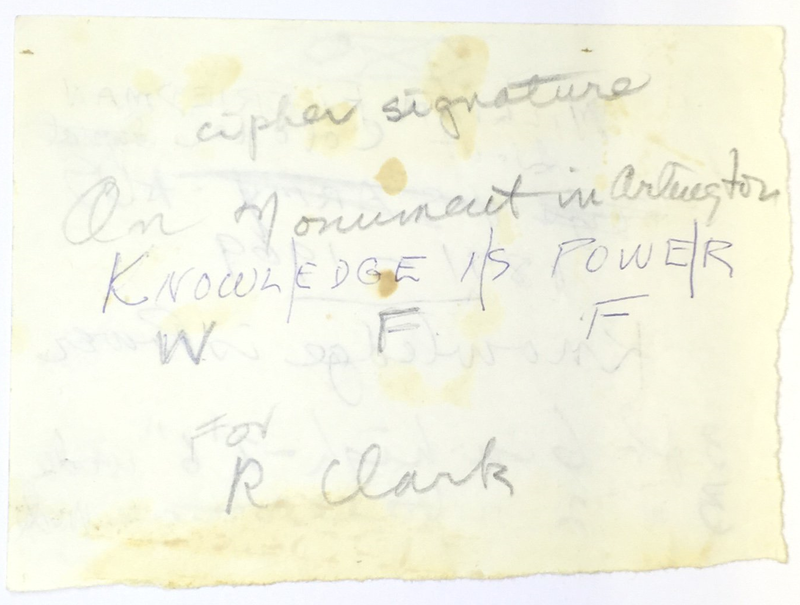 This message is confirmed in a handwritten note found by journalist Jason Fagone, who recently published an Elizebeth Friedman biography titled The Woman Who Smached Codes (I have started reading it, it’s very interesting). The message was created by Elizebeth Friedman after her husband had died in 1969. 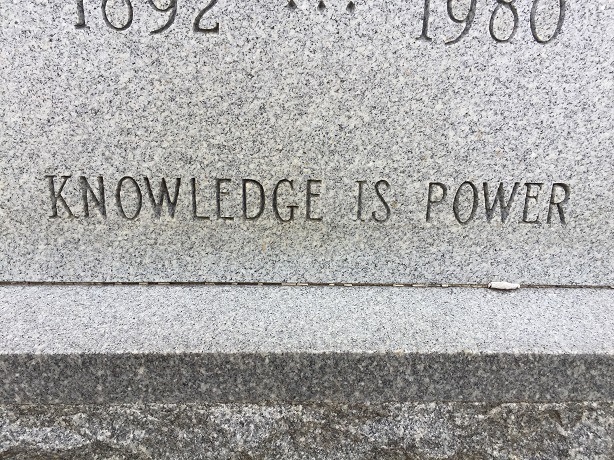 Elizebeth designed a gravestone inscription with William’s name and life data, a blank space for her own record, and the phrase KNOWLEDGE IS POWER. 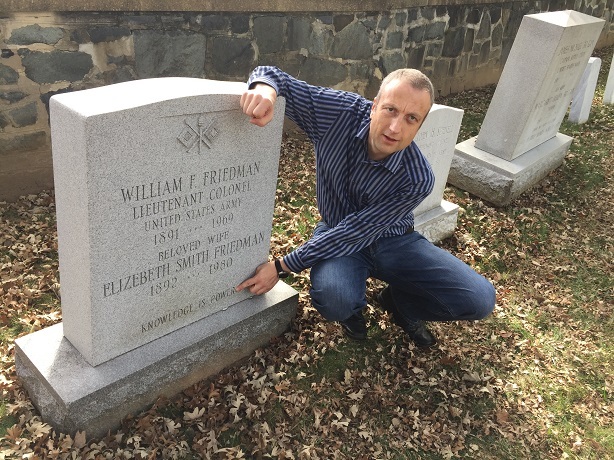 When Elizebeth Friedman died in 1980, her name and life data were added. The Bacon cipher is one of the earliest binary codes in history, predating the Morse code by over 300 years and the ASCII code by over 400 years. Here’s an English version of Bacon’s book chapter about it. This encodes the following three letters: WFF. These are the initials of William Frederick Friedman. A brief message, to be sure, but it is a nice dalliance and very typical for the Friedmans. Not really a code… or maybe it is: In the cemetery my in-laws are interred in, there is a stone with a little zeppelin engraved on the back. The rest of the stone was normal. I saw that man was young when he died, so I guessed that the zeppelin meant he was probably a fan of Led Zeppelin, and maybe a musician. I asked my friend, Mark a fine guitarist and pro musician, if he knew the name… he did, and sure enough I was right. So it was a simple code, or whatever you call it, which told a little story about the guy… but discrete enough, I guess, to get by the memorial committee at the cemetery.